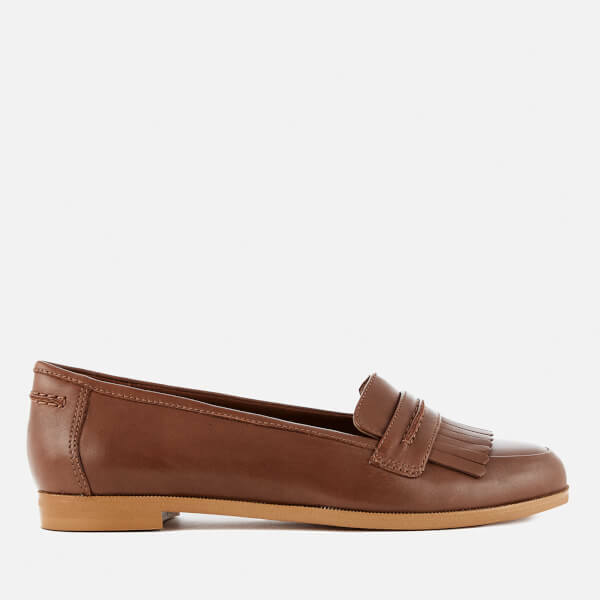 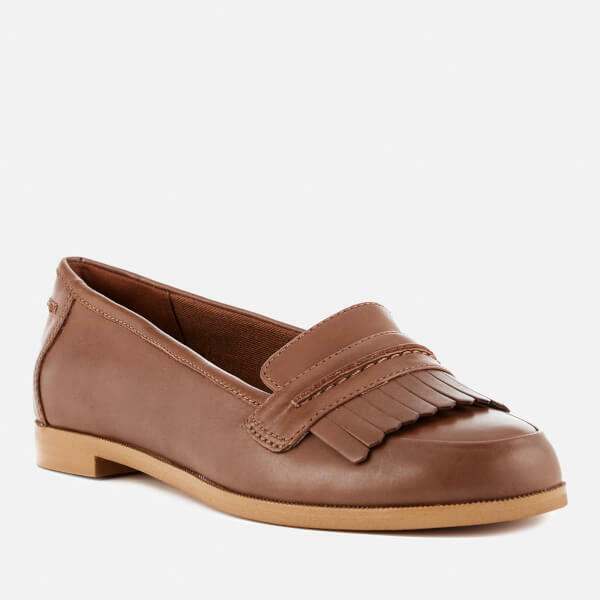 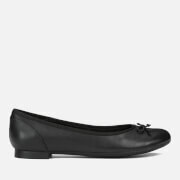 Women’s 'Andora Crush' leather loafers from established shoemakers Clarks. 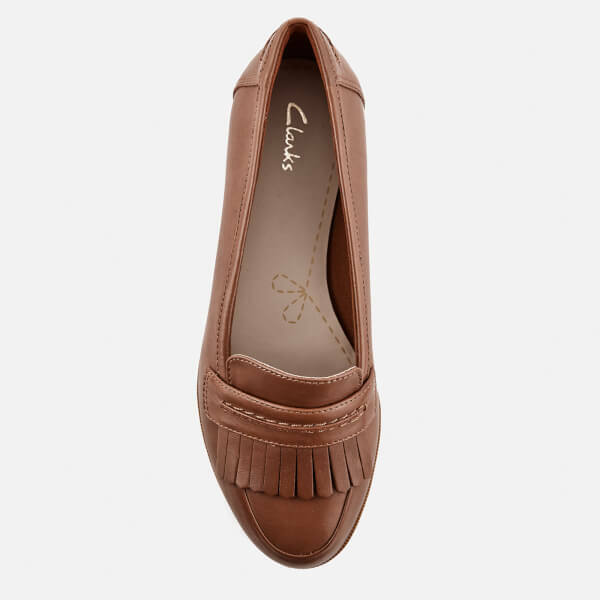 Forming a traditional slip on style, the flat shoes are made from premium leather uppers with an almond-shaped toe and fringe detailing for a contemporary aesthetic. 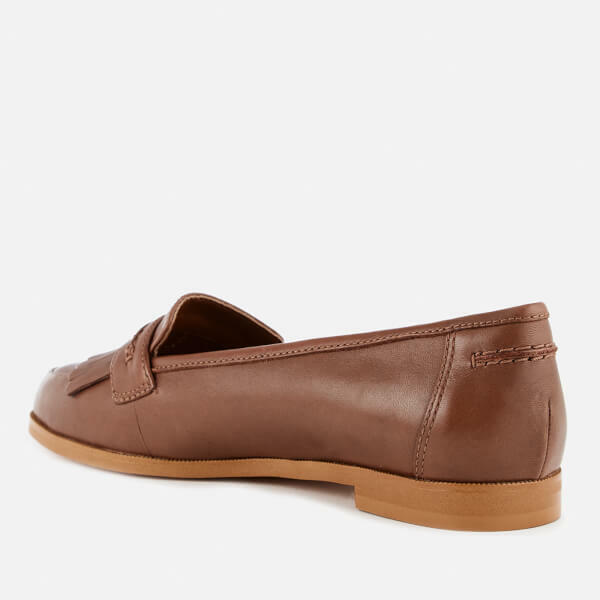 Detailed with archive stitching and adapted with a padded collar and Cushion Soft™ foam layers for optimum comfort. 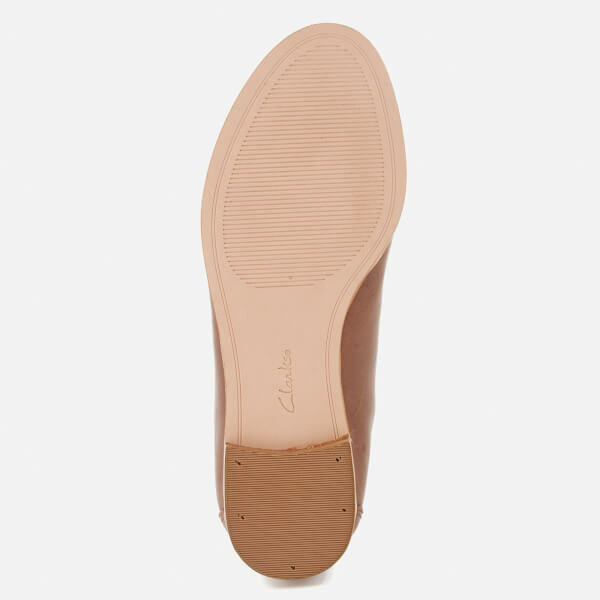 Set upon a slimline rubber sole with low heel.